Hey there everyone, so here I am back again with some great thing. Recently I came across a news that some company called Accord, dont know from which country, launched its own Android tablet PC P270. The tablet is quiet thin and seems to have good hardware. Most importantly, the device has got an Ethernet port, which means that you can connect you wired internet connection directly to the device. One more great thing the device comes with, is its inherent ability to connect mouse and a key-board. This really helps one to save time and errors caused due to usage of the touch-screen input. 1. 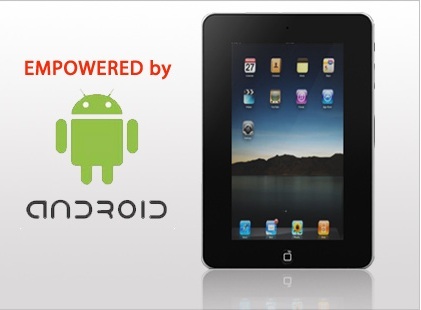 OS: Android 1.7 - The device comes with Android version 1.7, which is usually not good. The latest version of Android being 2.3 (codename Gingerbread). 2. CPU : VIA 8505 400Mhz - VIA Technologies is a Tiawanese Chip and Microcontroller manufacturer. In addition to this they also manufacture Mother Board Chipsets, CPUs and Memory. The CPU of 400Mhz gives the tablet PC the same power as that of my Nokia C6. Nokia C6 has got an ARM 434Mhz processor. 3. RAM : 128MB DDR2 - The RAM of the tablet seems to be low, but cant really say anything unless I have my hands on the device. 4. HDD : 2GB - The device come with 2GB of storage which is enough to store e-books, documents etc. This storage can be extended to 16GB Micro SD card. With the memory extended to 16GB, you can easily store more than 15 movies and with still some space available for some documents. 5. Screen Size : 7 inches - The size of the display screen is same as that of samsung galaxy tab. 7 inch screen is pretty much enough for watching movies and videos on a tablet PC. 6. Input : Resistive Screen - The device has a 7" Resistive touch screen. Though resistive touch is not so responsive, it is more durable than capacitive touch screen. The approximate durability of Resistive touch screen is 3 years whereas for the Capacitive touch screen it is 2 years. 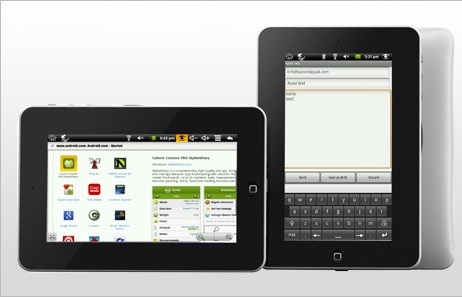 Almost all the devices available in the market come with resistive touch screen. In addition to this, the device also has an ability to connect mouse and key-board or even external Hard Disk. 7. Network : 3G, Wifi, Ethernet - As stated earlier, the device also enables the user to connect the wired internet connection through its Ethernet port. WHERE CAN I GET A CHARGER FOR CHARGING THE ACCORD @ PAD P270 TABLET?